Over the years Greg Allman struggled with a few health issues, but found his cure through music. Saturday sadly to say Greg Allman passed away in his home in Savannah, Georgia while surrounded by friends and family. His passing was due to liver cancer complications. He was 69 years old. 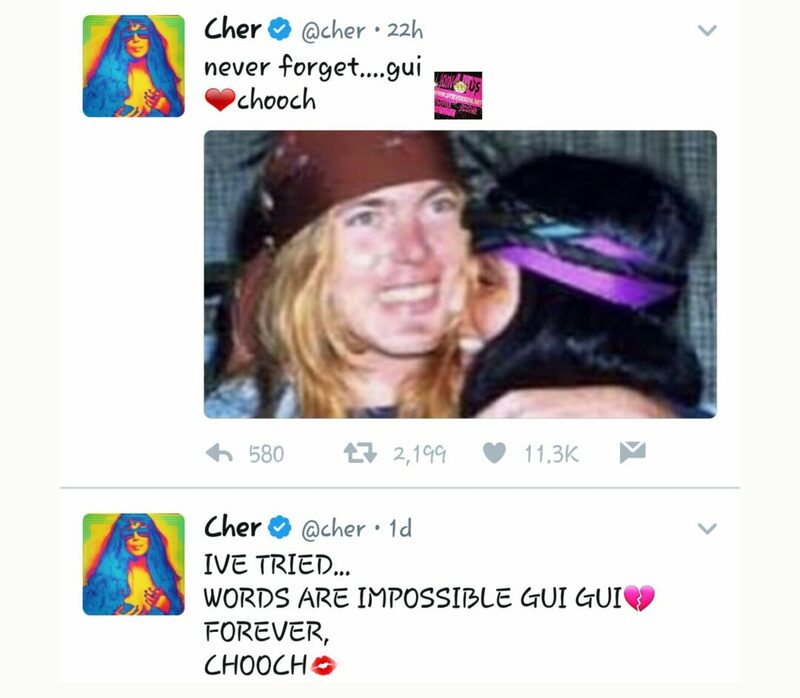 Cher was not shy of sharing her thoughts and emotions with the world , along with other celebs, and fans. The couple married in 1975, but were quickly divorced. They shared hit songs together like “Love Me” , ” Move Me”, and “When A Man Loves A Woman”. Greg was also the founder of the Allman Brothers Band who survived a life of tragedy and drug addictions. Greg will be buried at Rose Hill cemetery in Macon, Georgia, the funeral date is not yet confirmed, however he will be laid in the same cemetery as guitarist Duane Allman and bassist Berry Oakley .